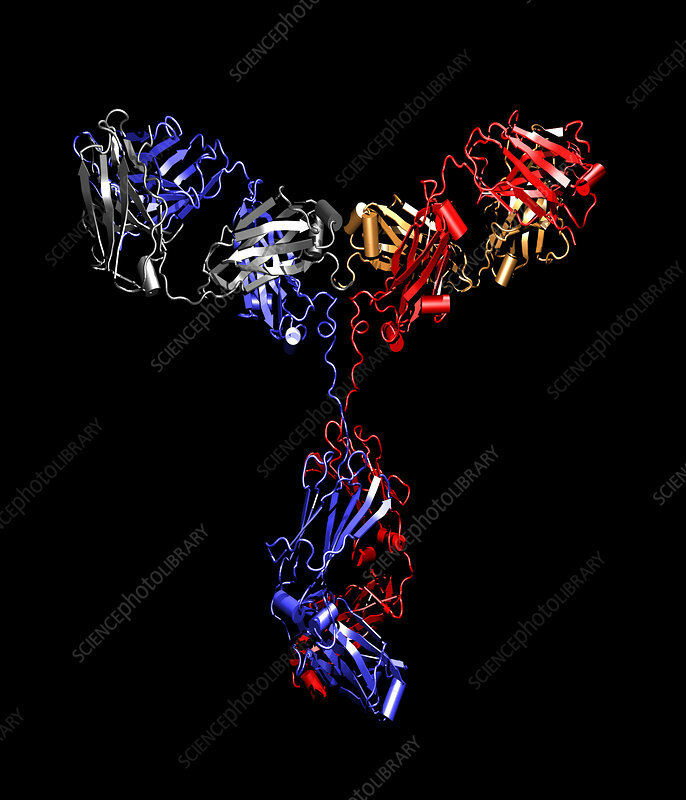 Immunoglobulin G antibody. Molecular model of the antibody immunoglobulin G (IgG). Each coloured strand represents a protein chain. The arrows and cylinders represent specific 3-dimensional structures present within each of the four chains. The two longest (heavy) chains (blue, red) are identical and form the Y-shaped backbone of the structure. The two shorter (light) chains (grey, orange), also identical, interact with the heavy chains at the branches of the Y. Antibodies defend the body against infection. Their branched regions bind foreign proteins, neutralising their activity or initiating immune reactions against them.